What is FertilityBlend for Women? FertilityBlend for Women is a nationally recognized fertility supplement that can naturally assist with encouraging overall reproductive health by normalizing ovulation, supporting hormonal balance, and more. FertilityBlend for Women synergistically combines ingredients renowned to benefit fertility while being safe on the female body. For example, the antioxidants selenium, vitamin E, and green tea help improve reproductive health by repairing any oxidative damage due to aging and environmental factors. Folic acid is known for reducing the number of neural tube defects in children. 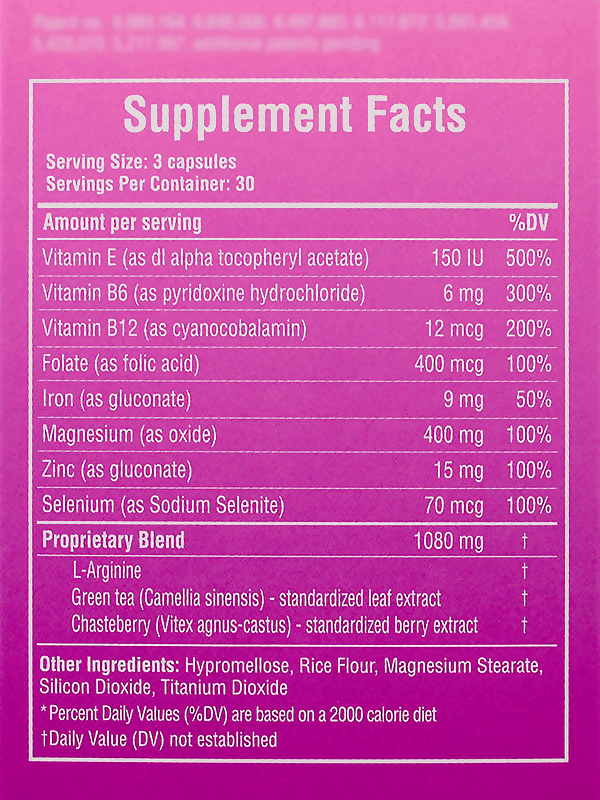 Moreover, the amino acid L-Arginine helps maintain a healthy uterine lining. 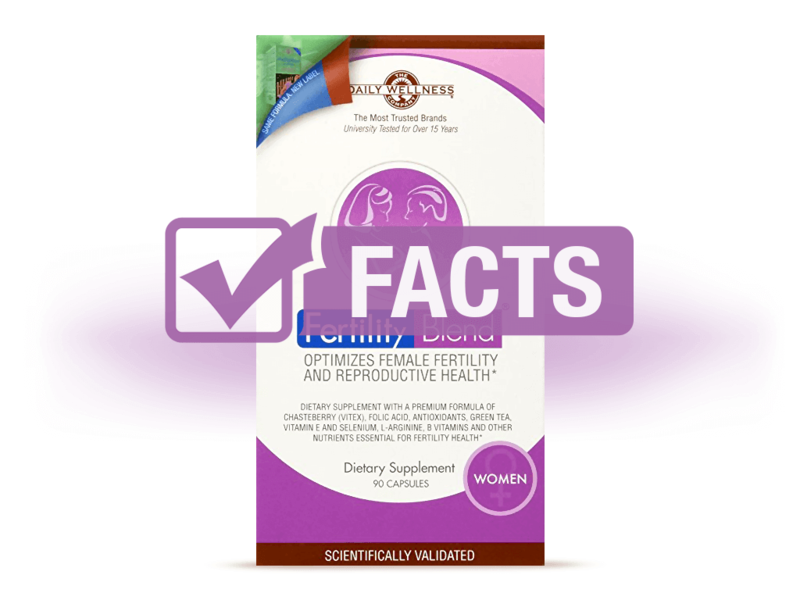 This fertility supplement does not contain artificial colors, artificial flavors, or preservatives. The company does not offer any information pertaining to the safety of long-term use of FertilityBlend for Women. However, those with pre-existing medical conditions should consult with doctor before use. On the website, there is no mention possible side effects of FertilityBlend for Women. Some Amazon users do mention side effects of gastrointestinal discomforts. Keep in mind that this natural supplement will work differently for all women. Positive reviews rave about FertilityBlend for Women allowing them to fall pregnant within a couple months of use by regulating ovulation. Negative reviews focus on the fact that the supplement didn't work for conception and caused side effects of gas, upset stomach, bloating, cramping, and more. As a dietary supplement, take three capsules daily. If possible, try to take the capsules throughout the day instead of all at once. Expect significant results with fertility health after at least three menstrual cycles. This product can be used as long as needed in order to conceive. Keep bottle in a cool, dry place out of reach of children. FertilityBlend for Women can be purchased online through Amazon or directly through the company website. It can also be acquired through participating health stores, such as GNC.